Dads don’t always have all the answers, but they do play an important role in the lives of their children. 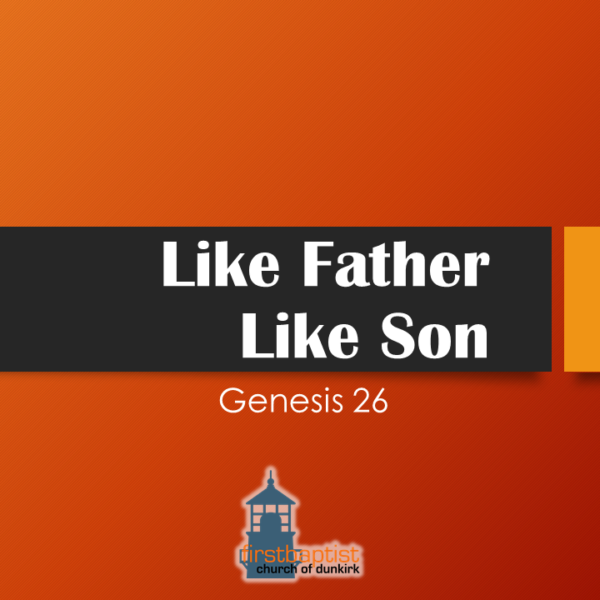 Today, as we continue our Origins Series from the book of Genesis, we will see Isaac following in his father Abraham’s footsteps. The good, the bad, and the times he chose the right steps even when his father didn’t. We will learn that even when we are seeking to obey and follow God, we will face trials and temptations and must choose whether we will trust God or go our own way. Also, will we seek to be peacemakers or cause more strife and trouble. As we read this narrative in Genesis 26, pay attention to the words and phrases Moses, the inspired author used. Listen for language that points out the comparisons being drawn between Abraham and Isaac, father and son.